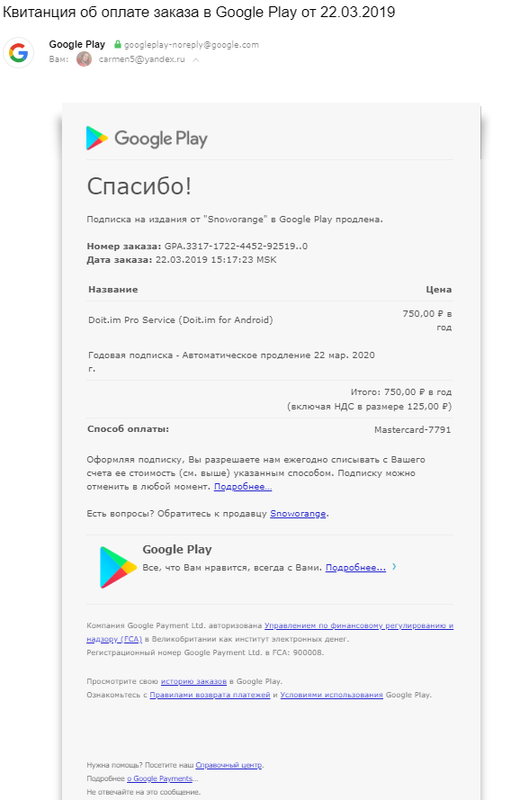 my yearly pro subscription auto-renewed via Google Play on March 22th 2019 and payment was successfully taken from my debit card (screenshot in attachment file). However my doit.im account online doesn't seem to reflect this so I'm unable to automatically sync across all my devices (in fact the app is unusable as a warning message keeps popping up to say that I need to renew my Pro subscription to enable automatic sync). Please can you resolve this ASAP?